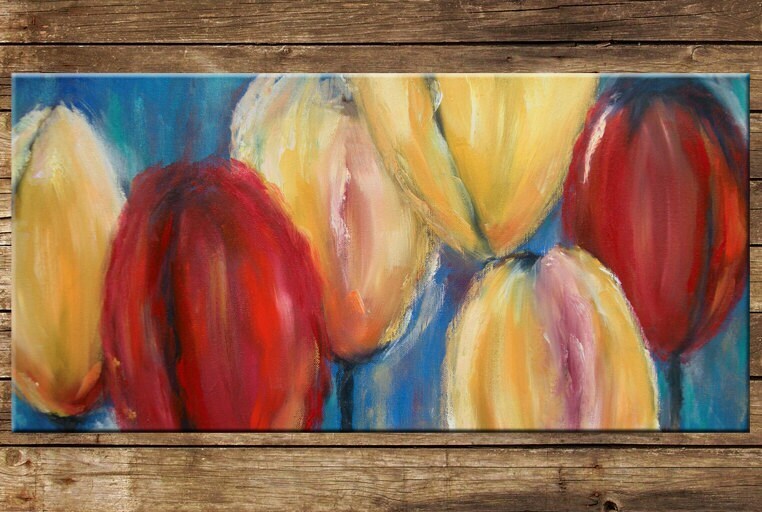 Bring the bright colors of tulips into your home with this fresh, colorful painting! 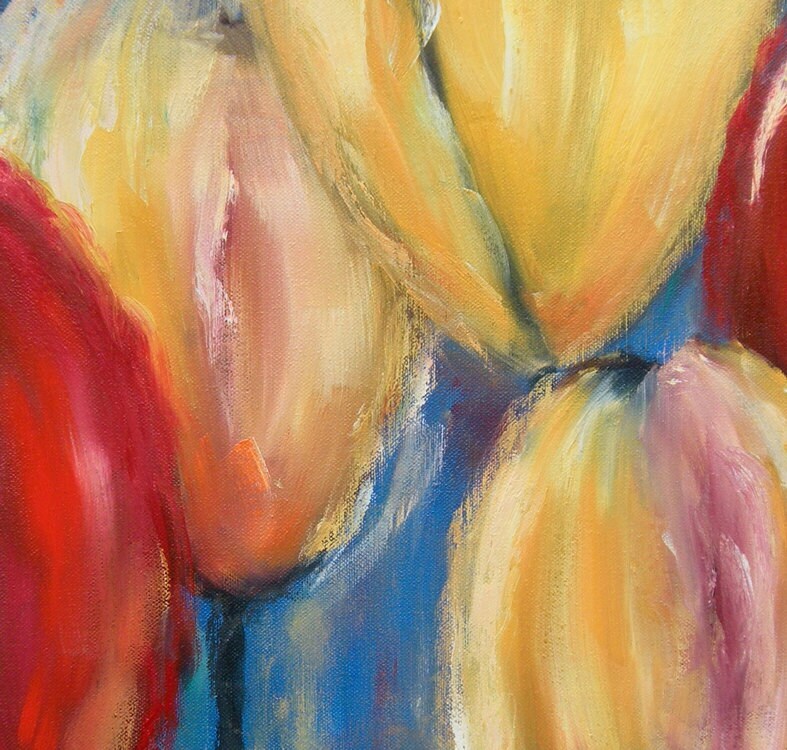 It is exuding energy with the complimentary colors playing off each other! This oil painting is an original piece of artwork and not a print. 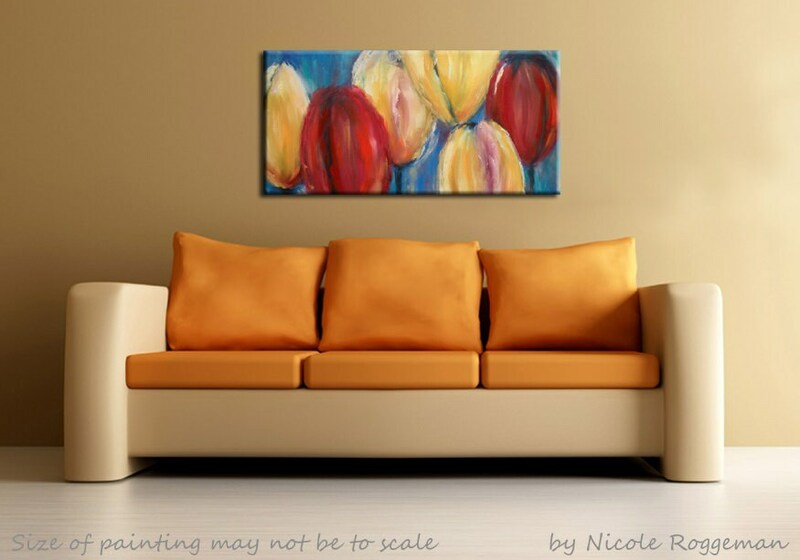 The size of the stretched canvas is 24"W x 12" H. The sides have been painted black for a finished look, so whether or not to frame is your choice. This piece will come to you signed and wrapped securely! Please keep in mind that colors can vary from computer monitor and real life, but I have tried my best to get great photos taken outdoors in natural light.